DLK on Avenue offers the most personalized and effective anti aging treatments for men catered to fit into the lifestyle and needs of today’s male patients. A medically-directed treatment program consisting of a combination of state-of-the-art technologies and industry leading treatment products will be prescribed through a personalized consultation with a Cosmetic Registered Nurse at DLK on Avenue. Treatments offer effective results with little-to-no downtime. In most cases procedures can be done at lunch allowing integration into any schedule. DLK recognizes the desire to retain a rested and youthful look in today’s competitive and demanding world and understands the needs and lifestyle of today’s highly visual males. Job stress, frequent travel and hectic schedules can result in a tired look and even wrinkles that do not accurately reflect on job performance and job satisfaction. Improved confidence is crucial in personal dealings with others and the DLK Men’s Program focuses on creating a more rested, youthful and confident version of each of our patients improving their personal and professional lives. 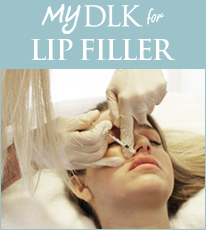 DLK Cosmetic Injection Treatment is a quick and easy lunch-time procedure to treat the vertical frown lines between the eyes, squint lines, crows feet, upper lip lines, neck lines and forehead lines. The treatment acts to relax the muscles that cause wrinkles and furrows. The result is a natural, relaxed expression of your frown and forehead line and the prevention of new wrinkles. DLK Injectable Filler Treatment decreases wrinkles and fine lines using the newest, and most effective durable injectable products available. The duration of effect varies from 4-9 months or longer depending on the injectable chosen. Results are seen immediately. DLK Dermal Infusion Treatments are a safe, painless, and non-invasive treatment that allow the skin to achieve a deep delivery of patient-specific solutions. This medically directed treatment offers a unique technology that combines several benefits in one treatment, letting you achieve clearer, more youthful skin with noticeable improvements with each session. Recommended for all skin types. DLK’s Power Program is an advanced 4-in-1 treatment that regenerates and renews the skin by using multiple technologies to treat conditions such as fine lines and wrinkles and skin tone and texture. DLK Laser Hair Reduction Treatment is a revolutionary Gold Standard Technology that uses vacuum-assist technology to allow for comfortable and quick treatments without anesthetics and gels. DLK Non-Invasive Body Contouring Treatment is the first non-invasive solution for body contouring that has been clinically demonstrated to deliver measurable circumferential reduction. Unlike Liposuction, a surgical technique and the only other fat removal option to date, this treatment has minimal risk, no recovery time and is painless. DLK Microdermabrasion is a superficial type of treatment using very fine laser cut diamond crystals to remove the dead outer layer of the skin resulting in a smoother skin surface. The procedure takes 30 minutes and patients can immediately return to regular activity. DLK Intense Pulsed Light (IPL) Treatment uses multiple wavelengths of light to gently fade brown spots and sun damage and even out skin tone. The procedure takes 20 minutes and patients can immediately return to regular activity. DLK Chemical Peels are topical preparations including lactic acid, glycolic acid and salicylic acid which act to improve skin surface texture and pigmentation, and treat acne. The procedures take 20-40 minutes and patients can immediately return to regular activities. DLK Fractionated Laser Resurfacing Treatment uses a laser micro beam to treat a wide variety of skin conditions such as wrinkles, skin laxity, scars and photo damage. The effect is an immediate tightening and lifting of the skin and underlying tissue. DLK Hyperhidrosis (Excessive Sweating) Program is a safe and effective treatment for excessive sweating on the hands, feet, underarms, back and face. DLK Medical Skin Care Program is a customized at home daily regimen consisting of medical grade skin care products to optimize treatment effects and maintain results. Programs are customized for each patient to ensure they are using the best products for their individual skin care needs. Prescription Medications may be prescribed in conjunction with DLK Treatments as part of our multifaceted approach to maximize results in a short period of time. 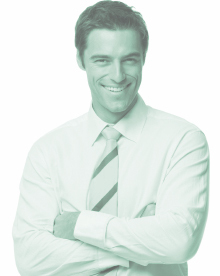 Since every DLK Men’s Program is individualized for each patient, the cost for this treatment will vary. A quote will be provided during your consultation and will also be dependant on the recommended course of treatments. Treatments are often covered by private health plans.